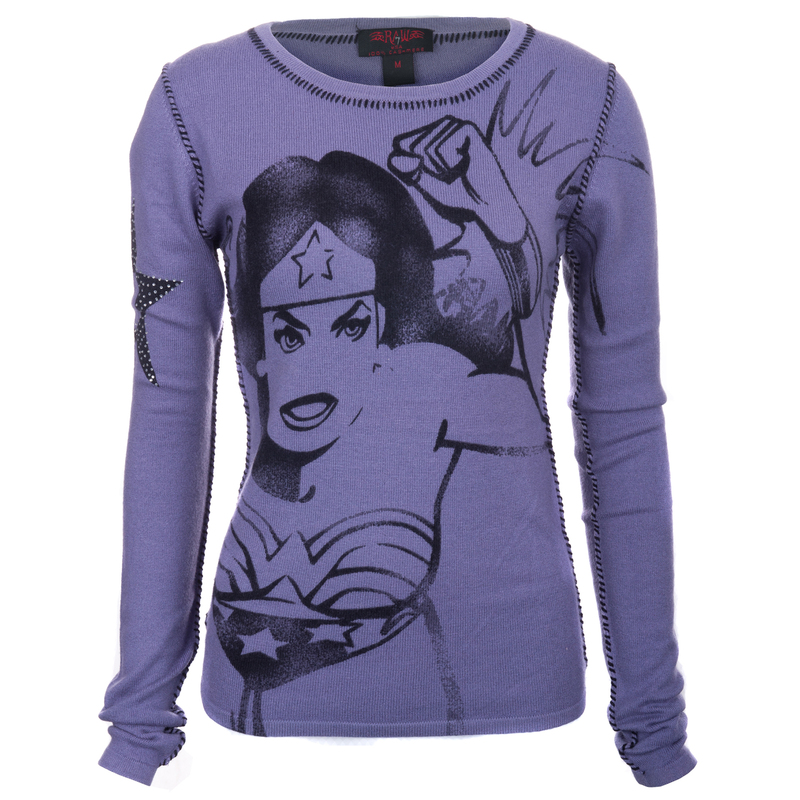 This wonderful purple sweater adorned by our favorite super heroine Wonder Woman showing off one of her indestructible bracelets is made of 100% Cashmere. Black stitching weaves through this sweater like her Lasso of Truth weaves around her enemies. Silver sparkles glint off the right sleeve in the formation of a powerful star, while the back proudly displays the same silver sparkles as the Wonder Woman symbol.